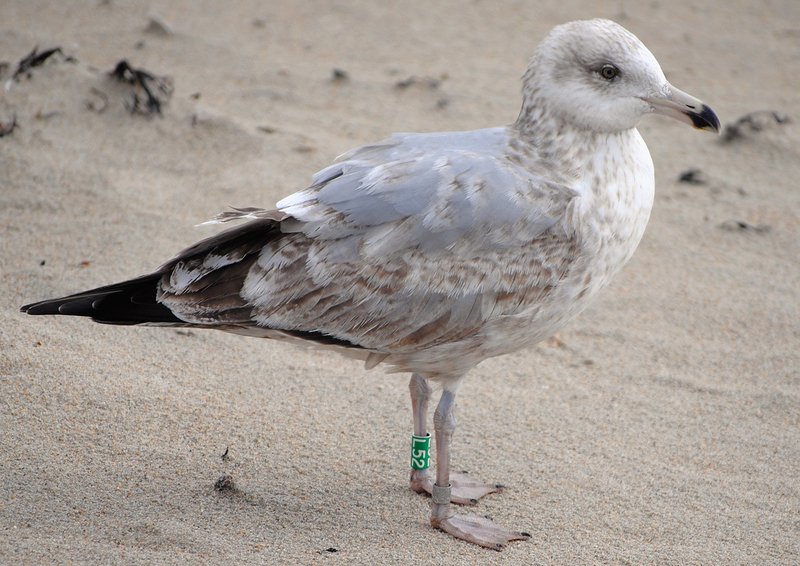 Herring Gull L52, banded as a chick in 2011, was seen on beaches in Hampton, NH in February, March, April and August. 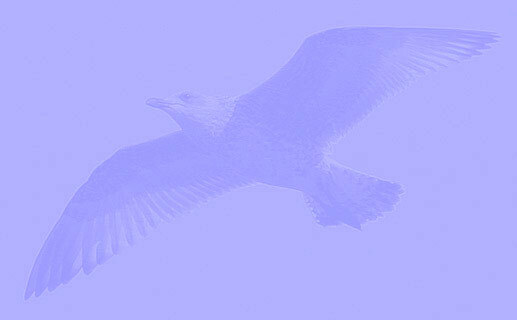 below: smithsonianus 2nd cycle (3CY) L52 April 13 2013, Hampton beach, NH. Photo: Jon Woolf. Scapulars are a mix of old brown and new grey feathers, still no complete grey saddle. Only single feathers replaced half a year ago in partial autumn moult: inner LLC and several central MC. 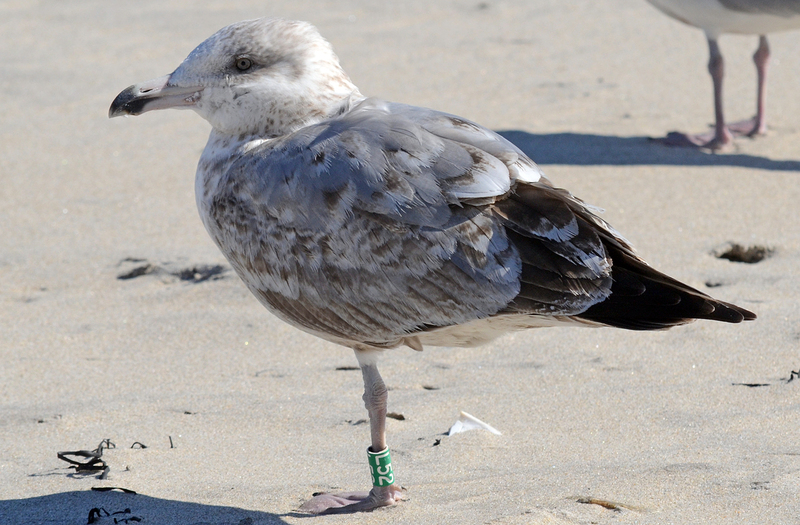 below: smithsonianus 2nd cycle (3CY) L52 March 26 2013, Hampton beach, NH. Photo: Jon Woolf.